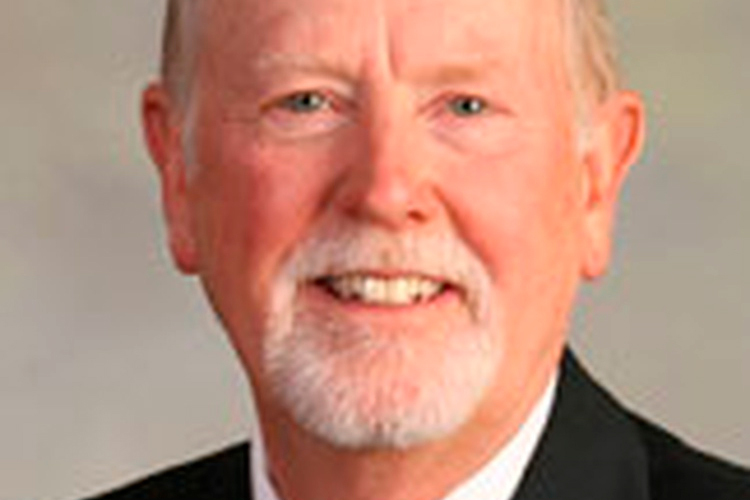 Fargo, N.D. — North Dakota breathed a collective sigh of relief earlier this month as House Majority Leader Rep. Al Carlson announced he’d seek re-election. The Republican legislator from Fargo has served in North Dakota’s legislature since 1890, one year following the state’s admission to the Union by President Benjamin Harrison. The oldest living member of any governing body in the United States, Carlson was recently declared a living historical landmark by the State Historical Society of North Dakota. When not representing the great people of Fargo in the North Dakota House of Representatives, Carlson can be found in his exhibit at the famed North Dakota Heritage Center located in Bismarck. There he provides historical context for the center’s thousands of guests who visit his exhibit and undergoes routine maintenance by the Center’s preservationists. During North Dakota’s summer months, Carlson is relocated to Highway 1806, just a few miles north of Bismarck. 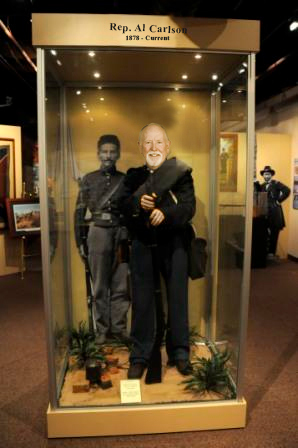 Rep. Al Carlson stands in his living exhibit at the North Dakota Heritage Center in Bismarck. Providing historical context is what Carlson says he does best, given the changes he’s experienced throughout his life in North Dakota. Carlson says change isn’t an easy thing for North Dakota, but it’s something he’s certainly open to. North Dakota Democrats reacted to Carlson’s announcement by outlining their goals in the next election cycle. The Democratic Party has not held a seat in the North Dakota Legislature since 1963. For more local political news, stay tuned to the Flickertail Times.